Solomons joins the company as global CEO Mark Read continues his efforts to raise the profile of the 7,000-person agency. Solomons held the similar position at R/GA for just one month before, according to R/GA founder Bob Greenberg, they "mutually decided to part ways" in July. Despite his abrupt exit from the leadership role, Solomons tells Adweek his time at R/GA (where he spent two years as managing director of the agency's New York Office and served as global chief client services officer) was "a great experience." He said he has spent the brief time between jobs with his family, taking a vacation to Greece, playing golf and "got my head ready" to take the new position at Wunderman. Before R/GA, Solomons was CEO of CRM365, a platform-based startup. Prior to that, he spent 12 years as Global Chief Marketing Officer at Digitas. "Throughout his career, Seth has demonstrated an unwavering commitment to clients, providing them with insight-driven ideas," Wunderman CEO Mark Read said in a statement. "He brings a high energy level and a strong perspective on the value and power of creativity and data." This isn't the first time Solomons has been a part of Wunderman. From 1992 through 2000, he was svp and account director, where he led efforts for American Express, Nabisco and Astra Zeneca. In an interview, Solomon said the eight years he spent at Wunderman were "a very formative time" in his career. "For me, it's a wonderful sort of story, for my next chapter to come back to Wunderman after having really grown up here," he told Adweek. "I'm just so thrilled to be a part of such a strong global team and to be in a position to help drive change and to get people excited about that proposition we're putting forward." Made of more than 2,200 employees and 43 offices, Wunderman's North America operation accounts for about 40 percent of the company's global business, Solomons said. Since becoming global CEO earlier this year, Read has been implementing a plan to raise the global profile of the company. 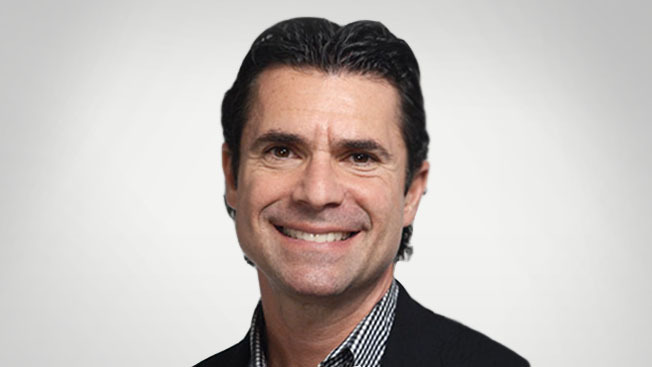 Last month, he announced the arrival of Jamie Gutfreund, who joined as global CMO after serving in the same position for Deep Focus. Solomons said Wunderman's value proposition needs to be "incredibly compelling but simple, in a way that is bought internally by staff and externally by clients." "I think we are one of the only, if not the only global digital agencies who can map our talents to their needs across the world," Solomons said. "I think what Mark has put in place is an executive steering team where clients' needs come first and regions support each other."